In three installments, Slanguage members interview the next generation of artists that have an investment in pedagogy and community-focused art practices. The interviews present Slanguage’s relationship to a diverse range of artists, students, and communities, and explore the group’s decade-long approach to artmaking – through education, community-building, and interactive exhibitions. The interviewed art collectives include: We Can (Wilmington Enrichment Community Artist Network), ELLAS collective, and Slanguage Teen Art Council (STAC). 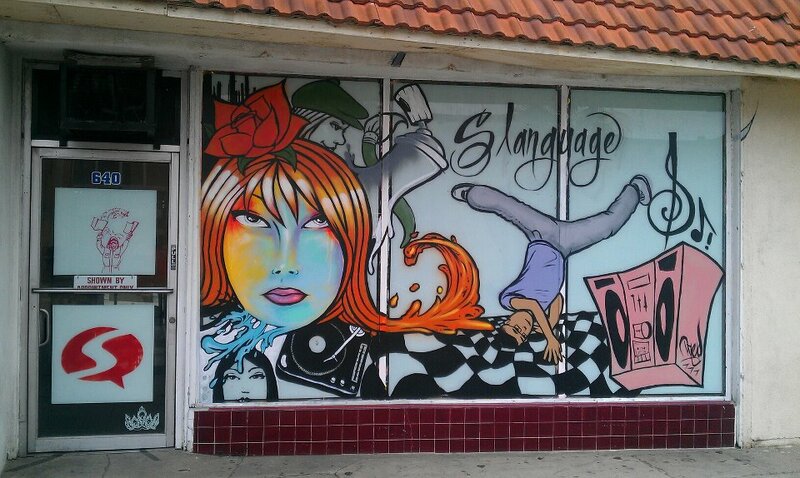 Founded in 2002 by Karla Diaz and Mario Ybarra, Jr., Slanguage is an artist group headquartered in Long Beach, California, a harbor area of Los Angeles. Currently, members make artwork, curate exhibitions, coordinate events, and lead art-education workshops. A diverse group at various points in their careers, Slanguage includes teenagers, street artists, and established mid – to late career artists, the majority of whom live and work in the greater Los Angeles area, especially Wilmington. Slanguage bases their practice on a three-pronged approach to art-making to include education, community-building, and interactive exhibitions. 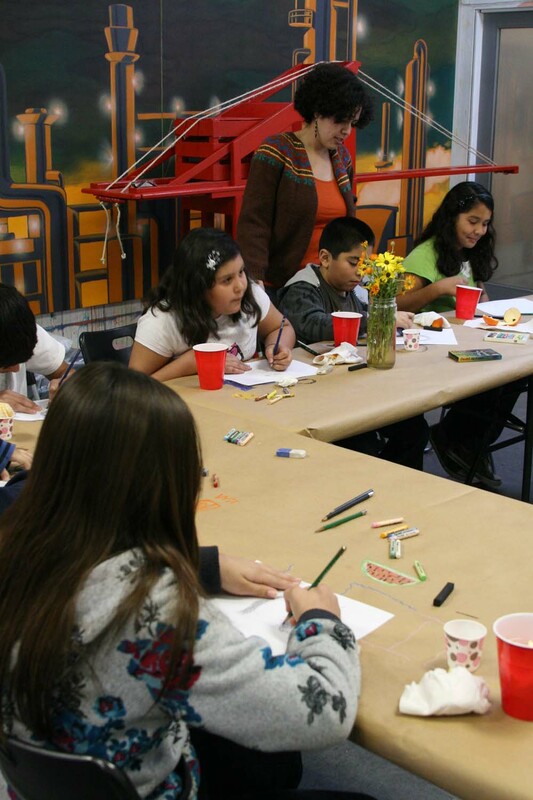 Focusing on art education, the collective has organized numerous artist residencies in museums across the United States and abroad. Fostering dialog about the meaning and value of contemporary art, Slanguage has used their studio space and resources to cultivate relationships between diverse artists, students, communities, and organizations. And, creating artworks that have ranged from multimedia installations to performances, public events, and workshops, the collective has enriched, inspired, and provoked viewers’ imaginations through local, national, and international exhibitions. For more on Slanguage, visit www.slanguagestudio.com. Practice Sessions: Slanguage is made possible with the support of the Institute of Museum and Library Services, and the James Irvine Foundation and City of Los Angeles Department of Cultural Affairs.